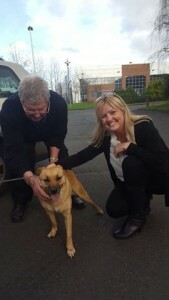 The story of a much-loved family dog that went missing from Finglas in July 2016 came to a happy ending when Goldie, a golden cross-breed dog, was rescued on the grounds of Tallaght Hospital. If the length of time that Goldie was missing for is staggering, the level of dedication shown to find her is even greater, with a huge number of people involved over the course of eight months. 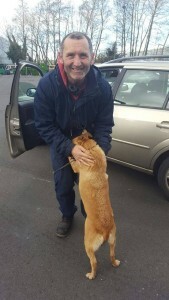 The day her owner Brian Duggan collected her he cycled home with the new puppy, passing through Griffith and Glasnevin Avenue – little did he know he would be searching the same area three years later….